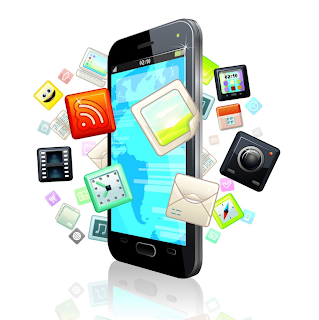 How is the approach to mobile app design going to evolve in 2014? Mobile apps have exploded on the market over the past two years. Revenues in this sector jumped sky high from $164 million dollars in 2012, to an astounding $1.88 billion in 2013. That's an increase of over a thousand percent, and it's not done yet. The market has taken notice, as shown by the recent IPO of King, creator of the popular Facebook game "Candy Crush Saga". This lucrative business model is the wave of the future, but what does it take to be successful in this highly competitive field? A strong focus on mobile design is a key. With all of the options out there, consumers have come to expect innovative, top notch design. Companies that get this right can reap the rewards. Here are some thoughts from experts in the field, about what's next in the realm of mobile design. Hardware and software keep improving year after year, but now the focus is starting to shift to the design of the user experience. This is what gets consumers to buy your app, and spread it virally to all of their friends and acquaintances. This is what keeps consumers engaged, and willing to spend their money. Keeping up with all of the new devices and technology has to happen, but design that considers the user experience first and foremost is where it's at. You can no longer build something for a desktop environment, and then create a mobile version as an afterthought. Mobile is a big part of people's daily lives, and users expect your offerings to be available on every device they use. Consumers expect sophisticated apps that handle their every need, no matter where they are. They also expect geo-located features, so their devices know where they are and perform accordingly. If you think someone is going to wait to access your system until they get home to their computer, you could wind up losing business. You need to have mobile access built into your design strategy. If you can dream up something that's never been done before, that's a unique challenge that has great potential for standing out in the crowded app marketplace. For instance, the Zebra team wanted to make insurance quotes easy, attractive, and fun. While there are plenty of insurance sites out there, this was a unique approach. They designed it with a focus on the end user experience that combined powerful features and functions with an attractive and user-friendly interface to create a unique product in the insurance space. Audience engagement is the holy grail of mobile design. When your audience is engaged with your product, they keep coming back over and over, and they're more likely to become raving fans and tell their friends about it, too. Achieving this engagement requires providing a useful service, and making it easy, and even fun to use. No matter how useful your app is, if users find it frustrating, they're going to dismiss it, and there goes the engagement you sought. To come up with fresh, unique products and presentations, it helps to keep your team's approach invigorated, too. If you've got the same team in the same environment, it can be difficult to break out of the thinking mode you've already established, especially when that already met with some success. Alternative management approaches can shake things up and get creative juices flowing. That may be just what you need for the next breakthrough mobile product design. Jason Phillips has drawn this wonderful post. He loves to cook for his children and usually do when he gets time. Even at video games his favorite are cooking games which he plays at Cooking Games 365.